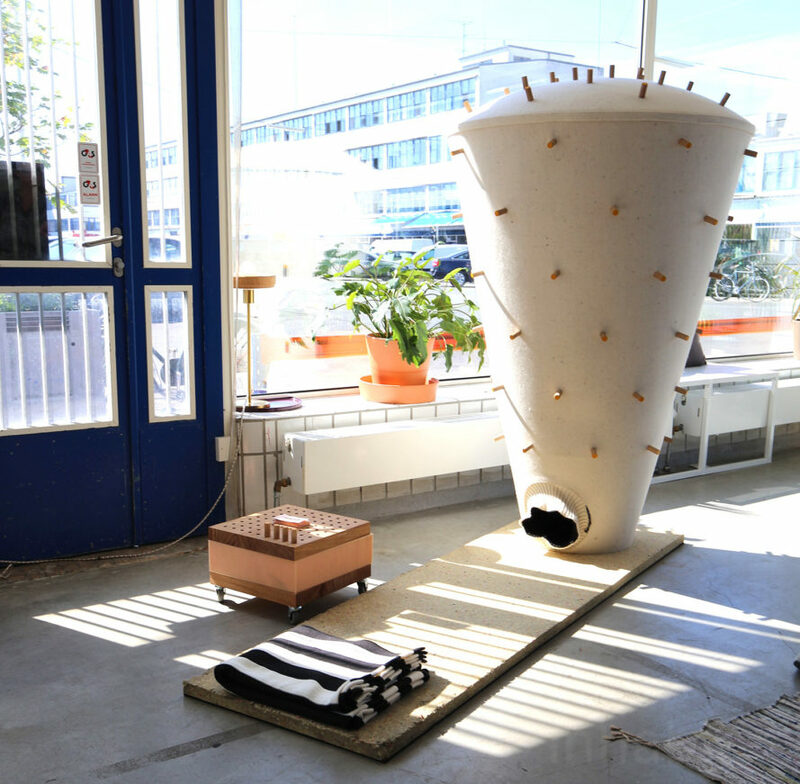 IKEA's Space10 lab aims to explore how new technology will change the way we furnish our homes in the future. So they created The Makery, an innovative space where makers can play and explore and maybe even revolutionize how you buy furnishings. Space10 is essentially a lab where people can explore ideas, like how we will use our homes and spaces in the future. Part of fulfilling that purpose is looking at how we will furnish our spaces. Obviously, the current model is out of date and hardly sustainable. Places like Making Society and AtFab have stepped in to fill the gap between the future and the past of furnishings with open-source furniture plans. These open-source furniture plans can be dowloaded and sent to a studio that can “print” or cut out your preferred design – either for you to assemble or have it assembled right in your home. That eliminates the costly middle man and the environmental cost of shipping furniture around the world. Space10 thinks we can streamline and improve on that concept and turn it into something that even the largest furniture manufacturer can embed in their business. 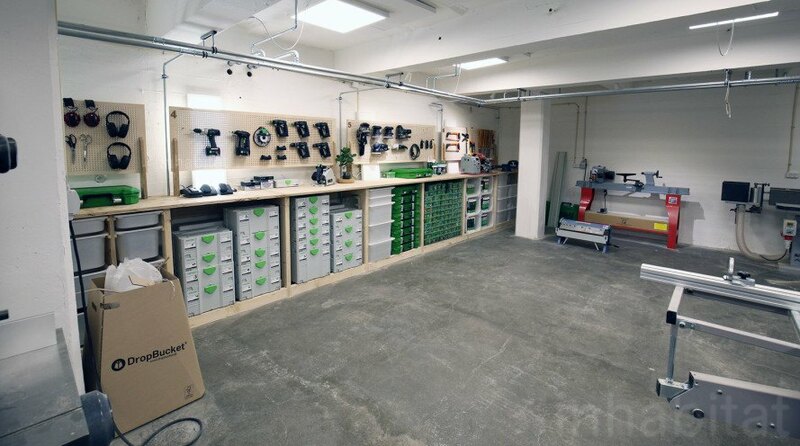 Their Makery hosts all manner of tools, including a laser cutter and myriad saws and woodworking tools. Potentially, someday neighborhoods or businesses could host their own Makery spaces, where people could go to create their own furniture or other household goods, making home furnishings truly local, and far more sustainable. The Makery is run by Helga Joseps and Ignacio Garcia Lenero, and when Inhabitat visited the studio, they were brainstorming ways to turn the maker movement into something everyone can be a part of. They envision a future where this sort of innovation could impact even the biggest furniture companies out there, like IKEA, which currently relies on flat packing to make shipping more sustainable. While that’s a great start, imagine a world where furniture doesn’t have to travel any further than down the street. In some ways, The Makery is just an extension of what people have been doing since they lived in caves: making things to improve their lives. It’s only recently that we’ve completely abdicated making things to other people across the world. Space10 hopes to bring us back to a place where we are involved in the making of our goods right in our own neighborhoods. In some ways, The Makery is just an extension of what people have been doing since they lived in caves: making things to make their lives better. It's only recently that we've completely abdicated making things to other people. Space10 hopes to bring us back to a place where we are involved in the making of our own goods. Space10 is a lab for exploring ideas, like this concept, which plays around with how we use space. Space10 wanted to create a space that you could escape from the stimuli of everyday environments. You can place your head inside the large column and the wood dowels can be removed to let in a little light, and re-create the sense of wonder of staring at the stars. Space10 thinks we can streamline and improve on that concept and turn it into something that even the largest furniture manufacturer can embed in their business. 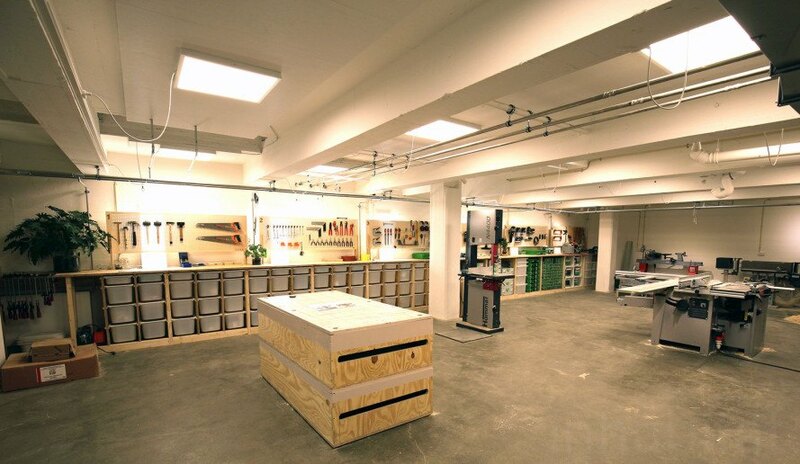 Their Makery hosts all manner of tools, including a laser cutter and myriad saws and woodworking instruments. Potentially, someday neighborhoods could host their own Makery spaces, where people could go to create their own furniture or other household goods, making home furnishings truly local, and far more sustainable. Ignacio Garcia Lenero manages Space10's Makery. Helga Joseps manages Space10's Makery.